Information on Gnu C/C++ internals. ros with their definitions throughout the program. the program according to various conditions. the features of ANSI Standard C.
in the absence of commands. o+ All C comments are replaced with single spaces. graphs are in use; see below). the file name is delimited with `<' and `>'. recognized within a character or string constant. but it is then too late to recognize the trigraph. trigraphs' option to enable trigraph processing. preprocessor commands to request their use. not define new preprocessor commands. Backslash-Newline, but that has no effect on its meaning. in your program with the C preprocessor command `#include'. Header files serve two kinds of purposes. terfaces between the source files of your program. good idea to create a header file for them. inclusion of a system header file named `x/*y'. features would make it hard to manipulate. The argument file may not contain a `>' character. It may, however, contain a `<' character. The argument file may not contain `"' characters. system header files are found in different places. fragment of a C program can be included from another file. end of a statement that was started in the including file. start in the included file and finish in the including file. error message) at the end of the file. included file lacks a final newline. flicts with other header files. skipped, without even reading it. header file to prevent multiple execution of the contents. then replaces or adds something. simply write `#include "base"' in the inheriting file. one supplied by the system. infinite recursion and a fatal error in compilation. assumption about where the system header file is found. directory in which the current file was found. and finds the file in `/usr/include'. features associated with macros in the C preprocessor. to tell at a glance which names are macros. macro definition if within a string or character constant. Spaces regardless of their contents. macro definitions take effect at the place you write them. remaining input, and the check for macro calls continues. Therefore, the macro body can contain calls to other macros. directions in the macro definition. macro name immediately, with no space in between. `min (1, 2)' and `min (x + 28, *p)'. where `1' has been substituted for `X' and `2' for `Y'. and they do not prevent a comma from separating arguments. passes two arguments to macro: `array[x = y' and `x + 1]'. and the preprocessor does not change what you have written. (if an argument list does not follow). wind up with a call to the function `min'. and a macro with arguments. into `(x) - 1 / (x)'). where it matters whether there is a space. classes: standard macros and system-specific macros. when the C compiler was invoked. number, in the form of a decimal integer constant. with each new line of source code. used. See section Combining Sources. eight characters and looks like `"23:59:01"'. voked. Its definition is the null string. porate it into a string constant. execute with the same effect regardless. type char is unsigned on the target machine. see `#if Command,,The `#if' Command'. of predefined macros; see section Invocation. `unix' is normally predefined on all Unix systems. Unix (perhaps only in version 4.3). vax `vax' is predefined on Vax computers. CPU is a Motorola 68000, 68010 or 68020.
depends on the system you are using it on. `mc68000' and `m68k', which are less specific. the AMD 29000 CPU family. National Semiconductor 32000 series CPU. inhibits the definition of these symbols. depend on the customary nonstandard predefined symbols. the type of machine it will run on? would be available on a vax, and so on. #define CPP_PREDEFINES "-Dmc68000 -Dsun -Dunix -Dm68k"
This macro is usually specified in `tm.h'. ment when it is substituted at that point in the definition. appears in those places with no `#'. C programmers want to do; see section Swallow Semicolon). get a valid C string constant with the proper contents. gle space in the stringified result. name of another macro, in which case it will be expanded. (including whitespace that was part of an actual argument). 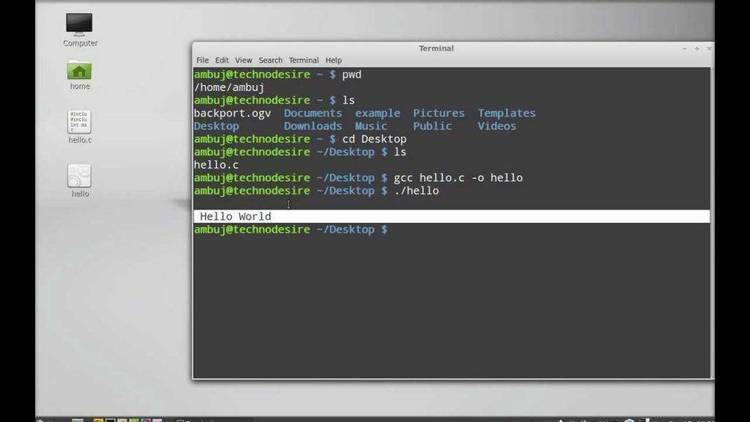 Consider a C program that interprets named commands. with no particular special results. To undefine a macro means to cancel its definition. lowed by the macro name to be undefined. never been a macro name. the expansion to be valid C code. name not currently defined as a macro. name that is already defined as a macro. was no whitespace at all. Recall that a comment counts as whitespace. that you must watch out for. would expand `call_with_1 (double)' into `(2*(1))'. ition. Here is why it is best to write macros that way. However, unintended grouping can result in another way. This would take the size of an integer and divide it by two. `sizeof' when it was intended to be inside. A call to this macro might be `SKIP_SPACES (p, lim)'. `else' makes invalid C code. time to compute, the results might not be what you intended. We say that `min' is an unsafe macro. (where I assume that `foo' returns type `int'). is passed into the preprocessor output unchanged. where `foo' is also a variable in your program. causes a fatal error (memory full) in the preprocessor. ever `foo' is referred to. able `foo', whereas in fact the value is four greater. `x' would expand into `(4 + (2 * x))'. Clear? expands to `(2 * (4 + y))'. again for macro calls to be expanded. scanned again for macros to expand. twice to expand macro calls in them. from having any noticeable effect. o+ Nested calls to a macro. o+ Macros whose expansions contain unshielded commas. macro's actual argument contains a call to that very macro. reference to another macro. This is very common practice. check to see whether it too is the name of a macro. its expansion is checked for more macro names. Now `TABLESIZE' expands (in two stages) to `37'. name is defined as a macro. statement is tested during the execution of your program. from run to run, depending on the data it is operating on. on the situation at the time of compilation. gram when it is not valid. intermediate data while the other does not. it as a sort of comment for future reference. one machine will not need to use preprocessor conditionals. `#ifndef'; only `#if' is explained here. but only comments are acceptable in ANSI Standard C.
erwise, no character code is considered negative. shifts, comparisons, and `&&' and `||'. groups. However, the `#if''s and `#endif''s must balance. `vax' and `ns16000' is defined as a macro. is equivalent to `#if defined (name)'. is equivalent to `#if ! defined (name)'. code depending on the chosen configuration. `-U' command options when you compile the program. is used as the error message. #error Won't work on Vaxen. See comments at get_last_object. See section Nonstandard Predefined, for why this works. is used as the warning message. source file and which line number. command by which you can control the feature explicitly. from scratch, other parts come from a standard parser file. line, with only whitespace (including comments) in between. posedly some old C programs contain such lines. `#pragma once' (see section Once-Only). systems where it is meaningful. replaced with blank lines and all comments with spaces. inserted after the expansions of most macro calls. included file. It is absent otherwise. are used for the omitted file names. preprocessor when it is invoked by the compiler. be confused by the `#'-lines. expansion of the macro call. tice the difference it will be with relief. You don't want to know any more about trigraphs. ment follows `#else' or `#endif'. ferently in traditional and ANSI C.
the standard system directories come after. searched for all `#include' directives. directory, if appropriate) are searched. Predefine name as a macro, with definition `1'. and the name is not predefined. Do not predefine any nonstandard macros. included with `#include ' are omitted. dinary compilation the way `-M' does. suitable for using with the `make' command. files, not system header files. addition to other normal activities. file available for use in the main input.